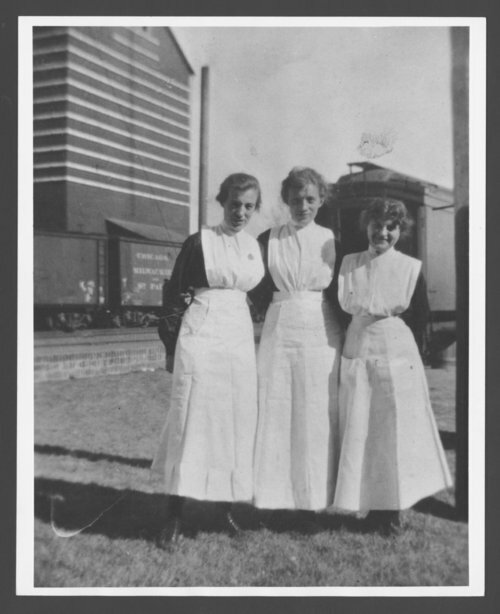 This black and white photograph shows three Harvey Girls at an unidentified location. In the background boxcars are visible. These young women served meals to travelers at the Fred Harvey hotels and restaurants along the Atchison, Topeka & Santa Fe Railway line.